Serbia’s Novak Djokovic, the world’s second-ranked tennis player, is known for his booming topspin strokes and rocket serve — but none of that power comes from eating his Wheaties. That’s because Djokovic, like a growing number of Americans and Europeans, follows a gluten-free diet, eliminating foods such as pasta, bread and some cereals, including Wheaties. Not long ago, few people had heard of gluten, let alone attempted to avoid it. Now, with dedicated gluten-free aisles in grocery stores and celebrities swearing that gluten-free living is the secret to perfect health, gluten has become the pariah protein. Gluten is the protein that helps give wheat, barley and rye their varying textures, such as that special stretchiness in pizza dough. It first attracted negative attention when doctors identified celiac disease, an autoimmune condition in which the body misidentifies gluten as a predator, triggering an immune reaction that attacks the small intestine, where gluten digestion would take place. The resulting inflammation prevents people with celiac from absorbing essential nutrients and causes a slew of symptoms such as abdominal pain, weight loss, vomiting and fatigue. For the one percent of Americans who suffer from celiac disease, a gluten-free diet is crucial. “Even a crumb is enough to cause symptoms in some patients,” said Dr. Alessio Fasano, who heads the Center for Celiac Research at Massachusetts General Hospital for Children in Boston. Both Balzora and Fasano agree that other conditions, such as gluten sensitivity and wheat allergy, which have similar symptoms to celiac but don’t trigger such damaging effects, might also benefit symptomatically from a gluten-free diet. Current estimates vary but Fasano guesses up to six to seven percent of Americans could be gluten sensitive. But for the other roughly 93 percent of us, there’s scant evidence of any medical benefits from giving up gluten, according to Fasano. In fact, many medical professionals worry that dropping gluten could have unexpected effects. Although the protein itself has no health benefits, cutting foods that contain it, such as whole wheat bread, could significantly reduce your intake of essential nutrients such as B vitamins, iron and fiber. People on gluten-free diets “must be careful to eat supplemental foods that contain those missing nutrients,” explained Fasano. Yet no matter what many doctors advise, the market for gluten-free foods is booming, with products sharing health food aisles with low-fat and low-sodium items. U.S. sales of gluten-free products reached $4.2 billion in 2012, a 28 percent increase since 2008, according to a report by Packaged Facts, a market research company. Gluten-free food companies such as Glutino say they are simply responding to an increasing demand. 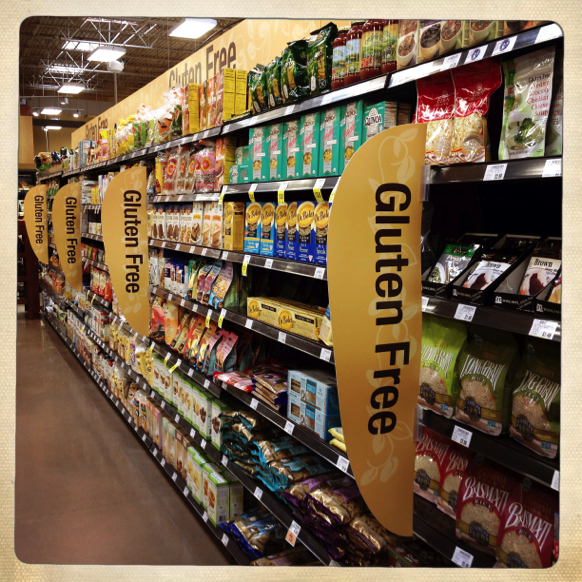 “The rise in gluten-free diets heightened consumer awareness about gluten-free living. Companies, like Glutino, are answering that call with foods they can trust and enjoy,” said Laura Kuykendall, director of marketing for Glutino. But whether many of those products are truly healthy is up for debate. NYU’s Balzora warned that while choosing foods that are naturally gluten-free, like fruits and vegetables, will aid in weight loss, specially synthesized products, such as gluten-free pasta or bagels, might cause weight gain. Those foods, Balzora explained, “have a higher fat and sugar content because that helps make them taste as close to gluten products as possible.” For example, a regular piece of bread is about 90 calories with one gram of fat while gluten-free bread can be 140 calories with four grams of fat. In addition, because of special processing requirements, gluten-free products can be expensive, often four times as much as their gluten-containing counterparts. A 2008 study that compared the cost of gluten-free foods to regular foods found that on average, gluten-free products were 242 percent more expensive than regular products. It’s important to remember that we don’t yet know what the true rate of non-celiac gluten sensitivity (the proper term) is because we can’t measure NCGS objectively since there isn’t yet a test independent of subjectivity. One recent study, however, says that 13% of people self-report that gluten gives them such discomfort that they must refrain from eating it. It’s very possible that there are many more people than that who have a problem and are discouraged by articles like this from giving a gluten free diet a chance. Please note, as Fasano has shown, that eating gluten causes EVERYONE to produce zonulin which interferes (although by varying degrees) with the tight junctures between the cells in the lining small intestine. Anyone with autoimmune disease could be at risk for complications due to intestinal permeability which is thought to increase the risk of another autoimmune disease in someone already suffering from one. Although the list of autoimmune disease is huge, they include autoimmune thyroid disease, rheumatoid arthritis, MS, lupus, eczema, diabetes I, etc, etc. Autoimmune means your own body is creating antibodies that attack it’s healthy tissue.